This year’s 23rd edition of the global meeting - located in Bonn, Germany - is hosted by an island nation that is currently challenged by rising sea levels: Fiji. 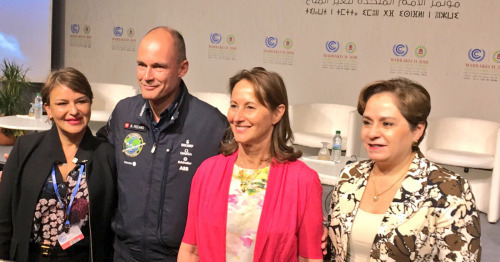 While Bertrand Piccard has participated in many COPs over the past years, the Solar Impulse team has attended the two previous conferences and this year the Solar Impulse Foundation will be present to launch The World Alliance for Efficient Solutions! The Solar Impulse Foundation team has been there since day one to launch the World Alliance for Efficient Solutions with a Constituent Assembly occurring on Tuesday, November 14th at 6PM. Our founding members, key actors in the field of clean technology, will take part in the first Constituent Assembly and witness the countdown to select #1000solutions that are profitable and protect the environment before COP24. Stay tuned for November 14th to hear more about the World Alliance’s first Constituent Assembly and the upcoming #1000solutions challenge. 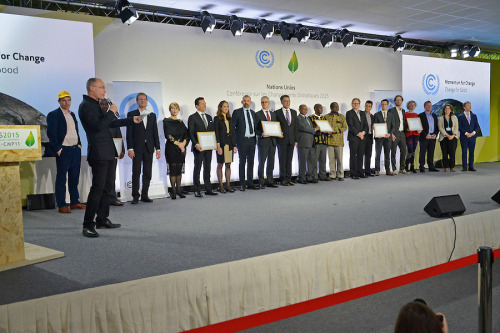 While negotiators were sitting at the table in Paris constructing the Paris Agreement, Bertrand Piccard published his 7 principles to Solve Climate Change with Clean Technology at the request of President Hollande. These principles remain at the heart of the Solar Impulse Foundation’s mission - to find profitable solutions that protect the environment. The Paris Agreement was subsequently signed on April 22nd, 2016 (Earth Day) by 174 countries in New York. During the ground-breaking ceremony, Bertrand Piccard spoke to the former UN Secretary General Ban Ki-moon while flying across to the Pacific Ocean in his solar-powered airplane (watch it here!). Behind the Secretary General was a room filled with over 500 World Leaders. The Government of Morocco hosted the COP22 in Marrakesh, pulling Moroccan efficient solutions onto the global stage. During the conference, Bertrand Piccard and the Solar Impulse Foundation announced its intention to start The World Alliance for Efficient Solutions. The World Alliance will work to federate, appraise, and empower profitable solutions that protect the environment.